Wikimedia CommonsAndrew Carnegie, legendary tycoon and philanthropist. In 1908, a young journalist named Napoleon Hill met the steel magnate when he was at the height of his power. Carnegie admired Hill’s drive and talent and decided that Hill would be the vehicle for his many ideas on how to achieve success. Their conversations would become the basis for all of Hill’s writings from that point forward, including 1937’s “Think and Grow Rich,” which is one of the top-selling books of all time. Hill then says that luck must often play a role in getting a big break, but Carnegie refutes the idea. “A man may, and sometimes men do, fall into opportunities through mere chance, or luck; but they have a queer way of falling out of these opportunities the first time opposition overtakes them,” Carnegie says. The mandatory religious element of Carnegie’s belief system comes across as dated, but it taps into his belief in “applied faith,” which even a fully secular person can abide by. 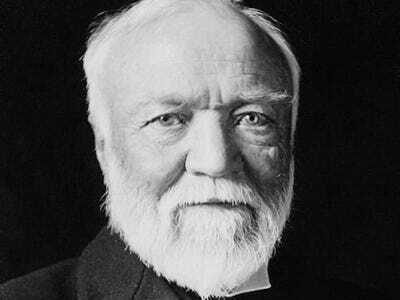 Whatever drives you, it is necessary from Carnegie’s perspective to have such a strong belief in yourself and your purpose that you act with total confidence. And finally, according to Carnegie, the truly successful do not profit from taking advantage of others. In “Think and Grow Rich,” Hill says that it’s not a coincidence that history is filled with instances of tyrants and dictators being overthrown. The most successful people know how to work in harmony with others, not dominion over them.